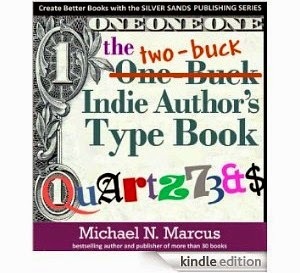 Book Making: Can you speak Typish? [above] A typeface is a distinctive type design, often named after its designer such as Goudy, Caslon or Lubalin. Sometimes a typeface is named to honor a person, place or event. Some names imply a mood or genre. “Harlow” implies glamor. “Asylum,” “Trashco” and “You Murderer” do not. Typefaces named “Goofball” or “Comic” are probably not suitable for the annual report of an insurance company. Strangely, “Grotesk” type actually looks nice. [above] The varieties within each face, such as bold, italic and roman (i.e., not italic) are fonts. Rockwell is a typeface. Rockwell bold is a font. 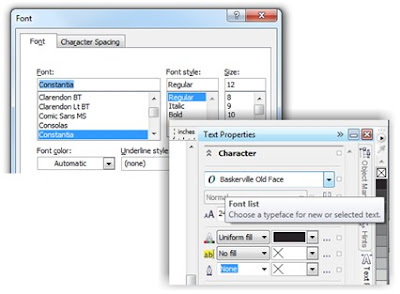 Sometimes “font” is used to mean all of the varieties within a typeface (e.g., “The Rockwell font has 832 characters.”) — or even the typeface itself. 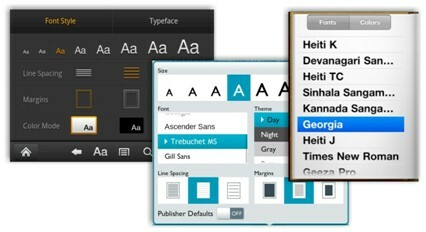 The terms “font” and “typeface” seem to be merging. Millions of people who probably never thought much about "typefaces" have to make daily decisions about "fonts" because of the ubiquity of computers, e-readers and tablets. “Font” takes up less space than “typeface,” and spatial efficiency is important on a small screen. [below] Lots of software, including Microsoft Word and CorelDraw call typefaces “fonts.” It’s probably an irreversible trend. Adobe sometimes uses “font” to mean “typeface,” but also explains the difference between the terms. [above] At one time, a character was the image of a letter, number, punctuation mark or symbol produced when a piece of type made of metal or wood, with ink on it, came in contact with a sheet of paper. Today, a character is a bunch of data bits that describe the image to be produced, or the printed image, or the image on a screen. "CPI" is the abbreviation for “Characters Per Inch” — a general indication or a precise measurement of how many characters are put into a line of type. [above] “Letterform” may mean the basic shape of a character, regardless of the typeface. You could say that “the letterform of a zero is oval.” Almost every version of the uppercase “A” has the same letterform: two converging vertical (or almost vertical) lines with a crossbar. [above] Sometimes a minimalist “A”—in such faces as Pirulen, Mars, Mari and Mogzilla—will have no crossbar but is still recognizable as an “A” because no other letter has a similar shape. [above] The farther a letterform evolves from its traditional shape, the more likely it is to be unrecognizable, or confused with another letter. [above] The basic letterforms for the same character may be entirely different from one face to another. The lowercase “a” in most faces is like the ones on the left, but others, both in script (cursive) and conventional (block letter) faces, resemble the handwritten “a.” Strangely, some dollar signs have one vertical stroke, but some have two. [above] TIME OUT: Sometimes an individual letter may be hard to identify, but it makes sense as part of a word — especially if viewed from a distance. Glyph rhymes with “stiff” and is related to “hieroglyph” and comes from the Greek word for “engrave.” It may be used to mean the same thing as a character or a general letterform. I prefer to think of a glyph as a specific letterform — the shape that represents a character in a specific typeface.